This full lace wig is Hera cutom 20 inches body wave 150% hair density, 4"*4" silk top, #4 brown color Indian remy hair full lace wig. The high hair density wigs could make you look more healthy and more charming, no matter you are young lady or middle-aged women. 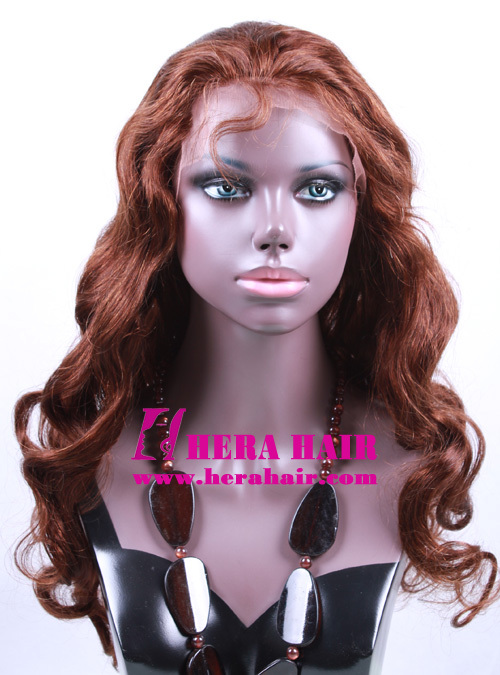 If you need the wig urgent and budget is tight, you'd better choose Hera's stock full lace wigs. Specific cap size, which you supply your head's measurements, we can do the right wig cap according to that so the wig could suit you very well. Two tone color or highlight color, no matter you want two tone color full lace wigs or highlight color full lace wigs, custom order could meet you very well. Silk top (Skin Top), Silk top make the hair looks like coming from your own skin. But our stock full lace wigs has not silk top and we can't add silk top base on stock full lace wigs. Custom full lace wigs could do regular 4"*4" silk top, also can do 5"*5" silk top according to your special requirement. 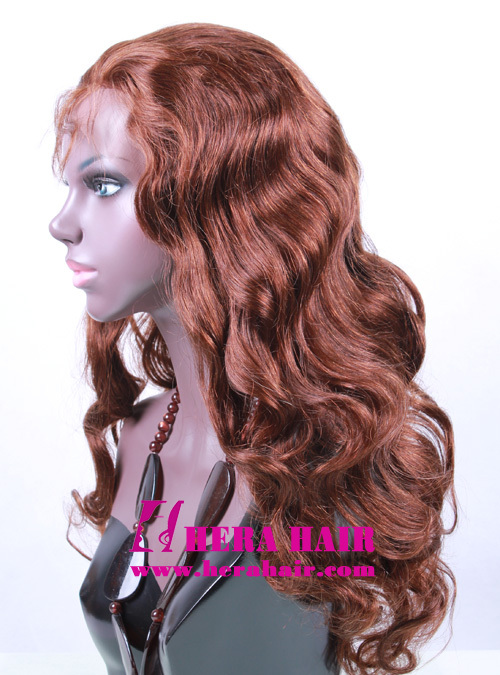 Hairline, our stock full lace wigs mainly are natural hairline. But custom full lace wigs could do widows peak hairline if you like. 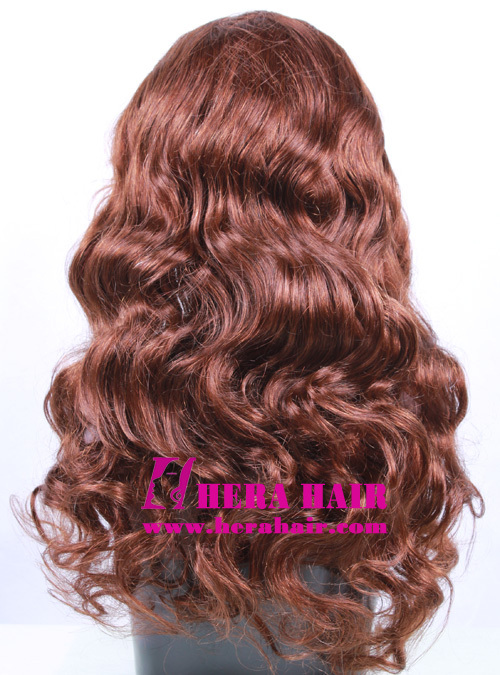 Different hair materials, our stock full lace wigs mainly are Indian remy hair full lace wigs and have some natural color Chinese virgin hair full lace wigs, Brazilian virgin hair full lace wigs. Custom full lace wigs order could do any hair materials according to your requirement. If you want the full lace wigs suit you perfectly, we recommend you do custom full lace wigs. For more things about custom full lace wigs, please contact us directly.